Emergency Dentists USA knows how horrible tooth pain can be and if you are experiencing any, then you should seek out emergency dental care in Davenport today. If you have attempted to handle the tooth pain on your own, but your methods just aren’t working anymore, call your nearest Davenport emergency dentist for help. The pain that you are experiencing can be caused from a number of different dental problems and you should receive care quickly to prevent any serious complications. Below, you will find a list of emergency dentists in Davenport who you can call and schedule an appointment with. Very helpful and courteous staff, give them a call whenever you are facing a dental emergency and do not know who to see. It took only minutes to find a dentist that could get me in that same day! There are a number of dental options available to you in the Davenport area. You will be able to receive the care you need, even if you are unable to take the time off. In Davenport, you will find that there are after hour dental clinics that are designed to accommodate your needs and see you in an emergency situation. Most of these clinics are open until at least 6:00 pm and some until 7:00 pm. In addition to the after hour options, you will also find that some of the local Davenport clinics are even open on Saturdays to accommodate your dental needs. Dental pain can range from mild to severe in nature and no matter what type of pain you are experiencing, you likely just want relief from it. Fortunately, we took the hard part out of the equation and we have created a list of Davenport emergency dentists below. You can get the relief you need quickly – all you have to do is take a moment and call! Description: Call to be connected with the perfect dentist for you. 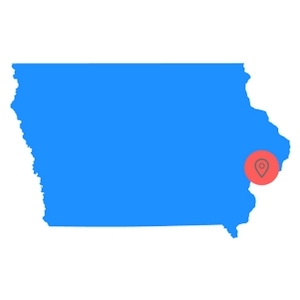 Davenport is a large city and we have the connections to find a dentist to fit your needs, and can get you an appointment immediately. Find Iowa 24 hour dentists today. Description: Family Dentistry and Dentures is a Davenport clinic that is here for you and all of your family’s dental needs, and the good news is that they are also open on Saturdays. Located on Kimberly Road and equipped with the most modern of dental equipment, their experience and track record makes them one of the best in Davenport. If you run into any emergencies while visiting the quad cities, this is the clinic for you. Description: Dr. Mueller’s office is open on weekdays from 8 AM until 5 PM, and is a Davenport clinic that can offer assistance for all of your dental needs. From x-ray diagnostics, emergency services such as extractions, and routine cleanings, you’ll be able to get help for all of your issues here. This is a well-known and respected clinic with a first-rate reputation and one that you can entrust your loved ones to with ease. Description: The staff at Bettendor Dental is here for you later hours during Monday and Tuesday, a real bonus for those with very busy lives. Come see the staff at Bettendorf Dental for anything that needs taken care of, from emergencies on down to routine cleanings. Description: Dentistry Unlimited in Davenport is a clinic that can provide care for you and the entire family. Their hours have them staying open later until 6 PM during weekdays, and they have the most advanced technology available along with a well-trained staff. Don’t let yourself or family members linger in pain, and pay the staff at Dentistry Unlimited a visit today. Visiting your Davenport emergency dentist’s office is going to be similar to visiting your local general dentist’s office. For the most part, the procedures are the same, the only difference will be the time that you are receiving care. For example, you may only be able to receive care up until 5:00 pm at your dentist’s office, but at the emergency dentist, you can arrive at 7:00 pm for care. When you call to schedule your emergency dental appointment in Davenport, make sure that you inquire about pricing, payment methods, and insurance. You should let the office know if you have dental insurance and find out a general pricing guide, as to how much you can expect to pay for your appointment. You also should ask if the dental office accepts all forms of payment or if they have restrictions. Some offices do not accept cash or checks, so you need to be aware of this. If you have never visited the office before, you will need to arrive a little earlier than your appointment to fill out some paperwork. This paperwork will ask you about your dental and medical health. You should answer the questions honestly and make note of any and all allergies you have, conditions you may be experiencing, and if dental anxiety is present. If you have horrible tooth pain, you may be experiencing a dental emergency. There are several types of emergencies that can arise and some of them form over time and others may arise overnight. For example, tooth decay takes time to form, but a cracked tooth can occur instantly. No matter the type of emergency you are experiencing, you should never forgo care and you should have them looked at by a trained and experienced dentist. A dental abscess is an infection that occurs near the root of the tooth or in between your teeth. This is a serious dental emergency and needs to be handled swiftly to prevent the spread of the infection. 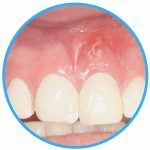 An abscess will appear on your gums as a pimple-like spot, but you should avoid touching it as you do not want to pop it or drain it on your own. If you have a dental abscess, simply rinse your mouth out with a warm saltwater solution and place a cold compress on the exterior of the cheek where the abscess is located. You should call your local Davenport emergency dentist ASAP. If you have broken your tooth, you should recover any and all of the pieces that you can and set them aside. You should then proceed to rinse your mouth out with lukewarm water. If the area is bleeding, apply a moist piece of gauze to it, and apply pressure for 15 minutes. If there is pain or swelling, place a cold compress on the exterior of the cheek where the injury occurred for 10 minutes. 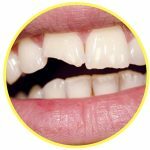 You should avoid wiggling or touching the broken tooth, as you may break it further. Call your local Davenport emergency dentist right away. If your tooth has been knocked out, the first thing you want to do is recover the tooth. If the tooth is dirty, you can rinse it off, but you should not touch the roots or remove the tissue present on the tooth. The best thing you can do is place the tooth back into the socket, but do not force it. Should the tooth not go into the socket, place the tooth in a cup of milk. You need to call a Davenport emergency dentist immediately. The best rate of success occurs when a patient arrives at the dentist for care within one hour of the tooth being knocked out. 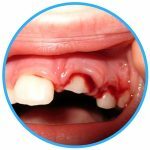 Emergency tooth extractions are sometimes required when the tooth in question has suffered a lot of damage or when it cannot support any other types of treatments. Some of the alternative treatments to extraction include a dental crown or a filling. Once an emergency tooth extraction has been performed, you can expect the recovery process to take about one to two days. Some patients do not even experience any discomfort and do not require downtime for the extraction. It is important that you do follow all of the care instructions provided to you from your emergency dentist and take all prescribed medications. When you experience pain in your mouth you may think that you need to head to the emergency room for care. Unfortunately, the ER is not the right place to go for your dental needs, as they handle medical problems and cannot perform dental procedures. If you do happen to arrive at the ER, they will look over your mouth and may prescribe pain relievers until you are able to visit your dentist. Of course, there are some instances when you should visit the ER, even if your teeth are involved and those times include when you have been in an accident, suffered head trauma, fallen, or even broken your jaw. While the ER did seem like the best choice, the better choice is a Davenport emergency dentist. Emergency dentists are trained and equipped with the proper tools to perform dental procedures that you need around the clock. They will be able to help you overcome the pain you feel and completely eliminate it. The Emergency Dentists USA portal is designed to provide you with information only. You should never take the advice on this site and use it instead of advice from a medical professional. If you do have a dental emergency and you cannot get ahold of a Davenport emergency dentist, you should call 911 or head to your local emergency room. We do recommend that you take a moment to check with the local Iowa dental society to verify the license and credentials of any new dentist you plan to visit. You can also search the Iowa Dental Board and the Iowa Board of Professional Licensure.